Although it seems as though the popular mode of thinking these days is that, once a child is old enough to toddle around with relatively little help, you should put the pram away and encourage them to walk everywhere, we believe that you should keep the pram or pushchair around for a little while. There are loads of reasons to keep your loyal pushchair in service! For starters, if you’ve got a fairly long day of walking ahead of you, you’ll definitely want to have some wheels around – toddlers get tired out pretty easily (walking is tough! ), and you don’t want to be spending all day with them playing catch-up, or having to carry them about for hours. A decent pushchair can do you well for years to come, especially if you end up having another child. When you’re choosing one, there are some things you should keep in mind. Here are our tips for you. This is arguably more important for use with a toddler than it would be when pushing a baby around. Toddlers are pretty well-known for wanting to get out of the chair at a moment’s notice before running off with careless abandon toward the horizon, so you’ll want a small, lightweight stroller which can be folded up compactly and easily. If you struggle to fold it away, your kid will have more time to run off! Also, it’s better in terms of practicality – it’ll make life so much easier for you when boarding a bus or a train, or when you’re shoving it in the boot of your car. 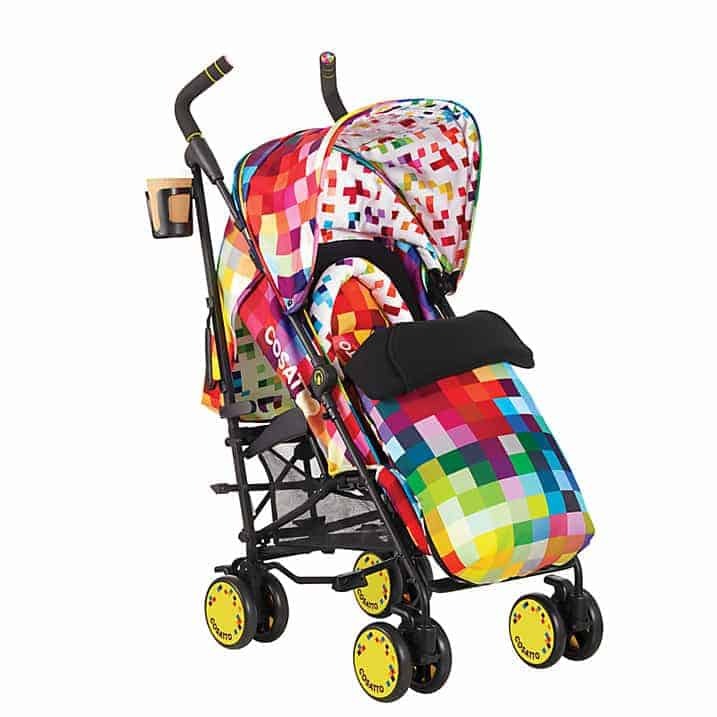 It can be all too tempting to buy funky pushchairs (they’re great! ), but you’ll want to make sure they’re usable. In a similar way to the size of the pushchair, you really do want something a little more lightweight when you’ve got a toddler in tow. You don’t want your little tyke to be spending all their time seated, even if they want to – they need the practice and the exercise! However, this causes a bit of a problem: you’re going to have to carry it about rather a lot. For this reason, you’ll most definitely want a light pushchair! Most compacts weigh in at about 8 pounds – not too bad! Remember: a toddler is a surprisingly heavy little creature. You are going to be pushing him or her about. You’ll want to consider carefully the height of the handles on your chosen pushchair. Though it’s unlikely to cause any particularly serious damage, if the handles are too low for your height, you might be putting a lot of unnecessary strain on your poor back. If you find yourself stooping down a little to push it, you’re going to do yourself a mischief. Look for pushchairs with higher (or even better, adjustable) handles and you’ll be golden. Previous Post: « East Anglia welcomes the #TeamHonkRelay baton!